What is worship like at Memorial UCC? Well, it’s thought-provoking and engaging. We have child care available for all our services and social time afterward. The 8:15 service is a bit shorter, often a bit more reflective. The choir does not sing here and there is a not a special time for children, but child care is provided. At the 8:15 a..m. service, we share communion each Sunday. At the 10 a.m. service, we share communion on the first Sunday of the month. We invite all who follow Jesus to join us for communion. We use bread, but we also have communion wafers available for those who would like them that are free of gluten, wheat, casein, dairy, yeast, egg, soy, nut, low/no sodium. We serve both wine and grape juice. Our pastor begins the service by welcoming the congregation and calling them to a time of worship. The service continues with the singing of hymns, special music (choir, bells, or instrumental), a time with children, scripture readings, and a reflection that provides contemporary meaning to Christ’s teachings. Following the sermon there is a sharing of joys and concerns, followed by prayer. 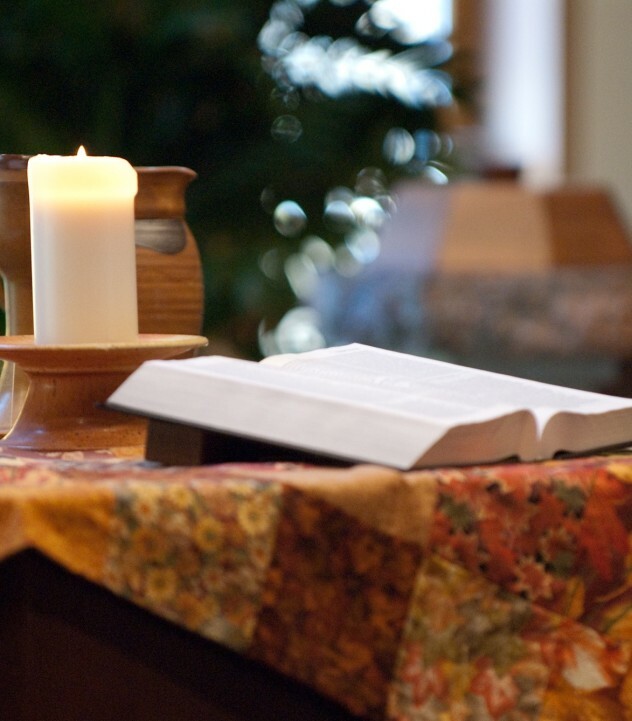 Our scripture readings generally come from what is known as the Revised Common Lectionary – selections of readings sharing by many Christian denominations that rotate through a three-year cycle. Here is an explanation of the Revised Common Lectionary from Wikipedia, here is the official site for the group that has worked on this and here is a link to a site with all of the readings.